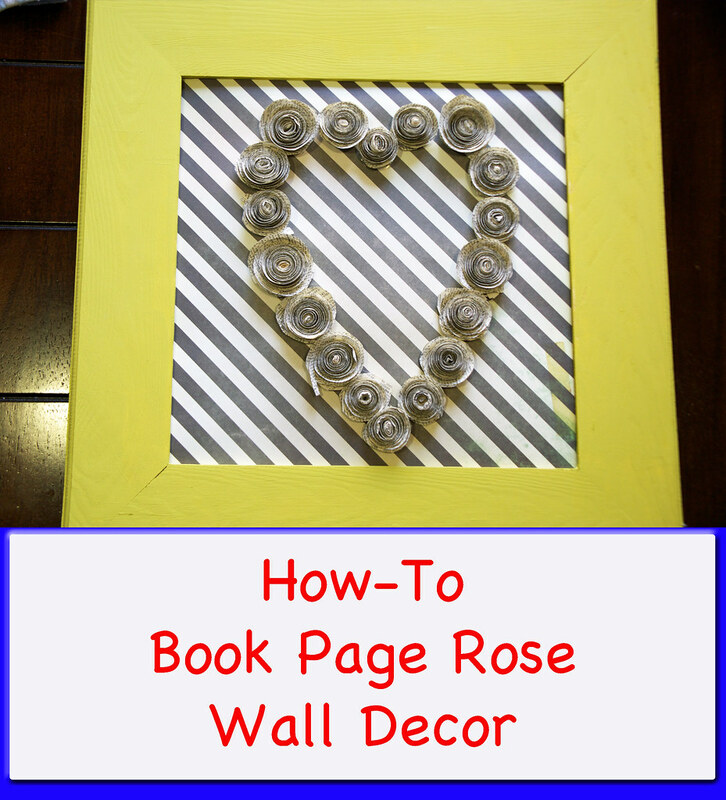 For the next tutorial from my master bedroom makeover, I thought I would show you the Book Page Rose Wall Decor. To see the rest of my bedroom makeover, click here. 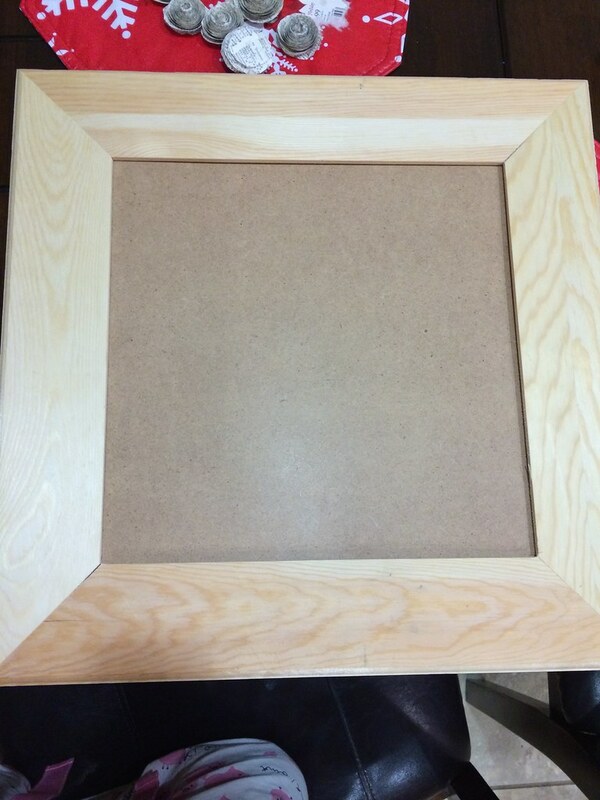 For this project I used a plain wooden glass-less frame, I believe I picked it up at Hobby Lobby, but it is something I bought a while ago and has been just sitting in my craft cupboard. 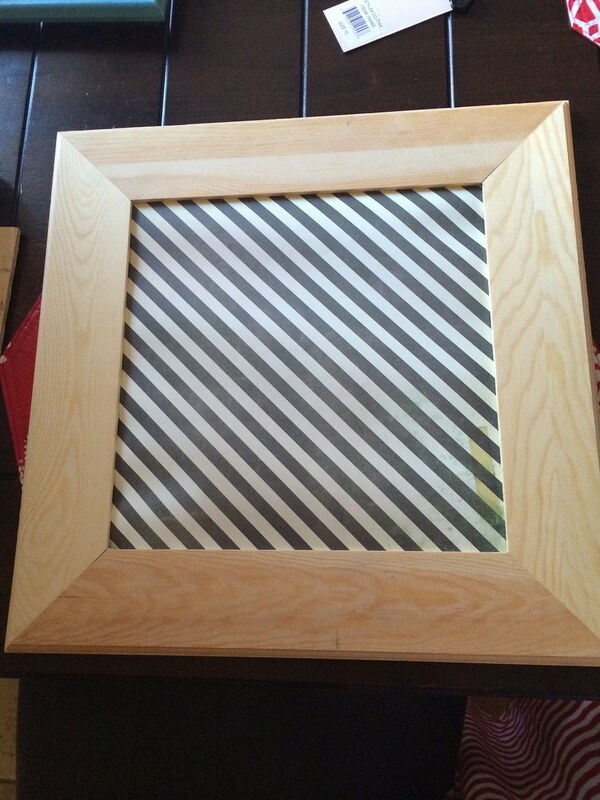 I found a piece of 12X12 scrapbook paper I liked, and placed the paper in the frame. To make the book page roses find a book you are wiling to tear the pages out of, a thrift store is a great place to look. 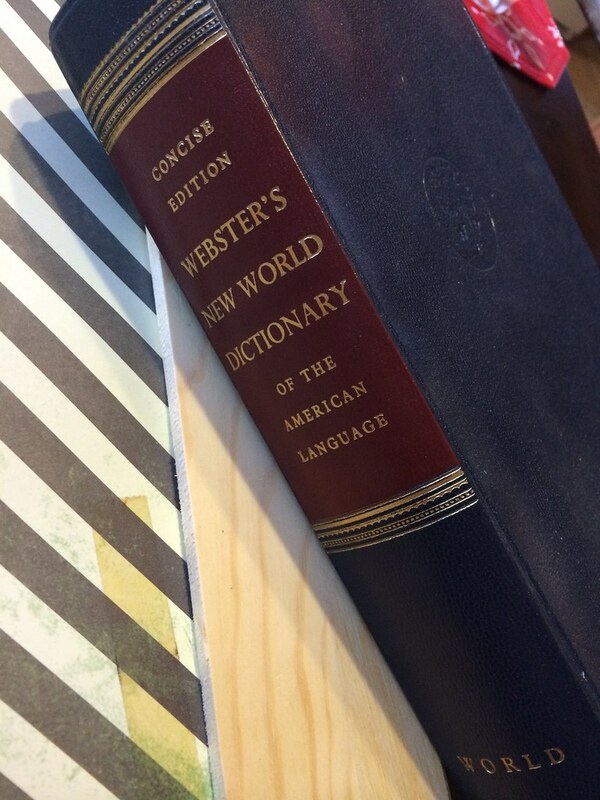 I love books with older yellowed pages with a thin paper. 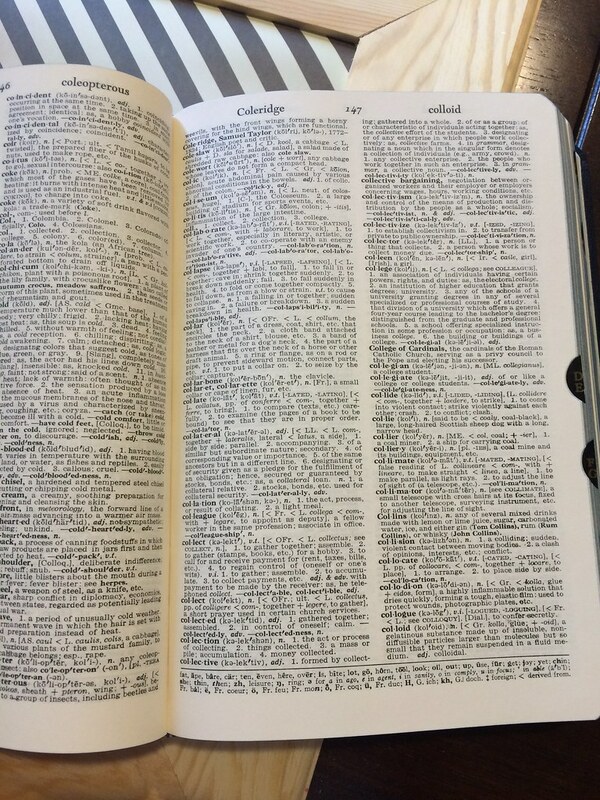 I found an old dictionary that had pages similar to what you would find in a bible, it was perfect. 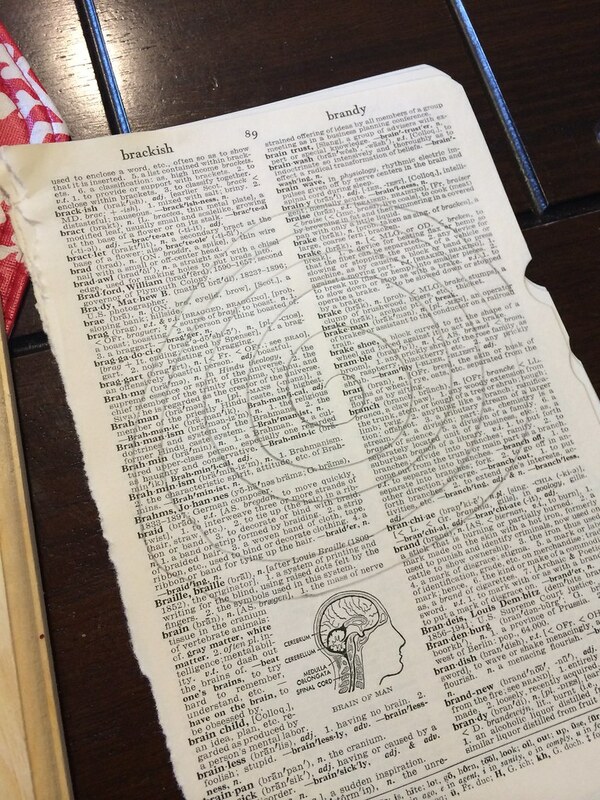 Many of the book rose tutorials say to cut your page into a square, but I just draw a my circle in a squarish shape, one less step that way. 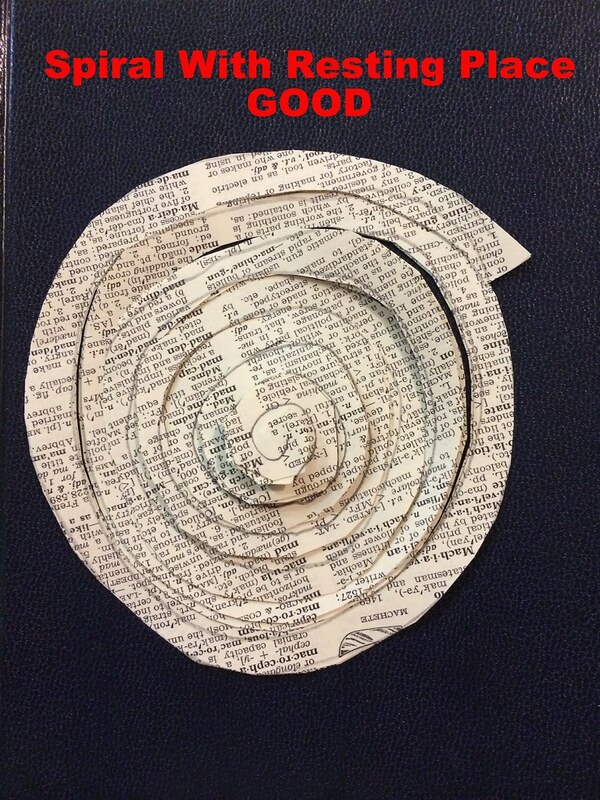 Draw the spiral starting in the inside and continue out. I drew my lines lightly with a pencil. 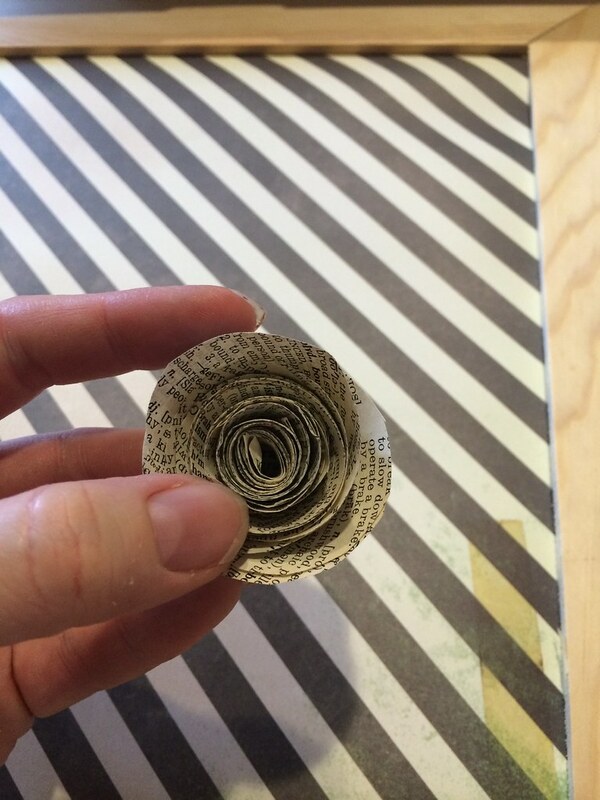 I drew the spiral on one page and then stacked THREE pages together before cutting to give the rose more depth. Then it is time to cut. When you cut, I definitely recommend having a surface for your rose to fall back on as you cut it, so it doesn't get all twisted up. Start on the outside of the circle cutting in, make sure to leave a circle piece at the very end (the middle), as this is what your flower will rest on. Then start from the OUTSIDE of the spiral and begin rolling up each loop inward. You will want to begin by rolling it tight as this is the center of your flower, then as you move inward, you can begin letting it loosen a bit. As you get to the end, glue your rolled up flower on the center circle piece. I just used regular Elmer's Glue and it worked great. I put a big glob on the flat circle part and pushed carefully down. I lay the roses carefully upside down to dry. I ended up making 18 roses. Once they were fully dry, I placed them on the paper in the heart shape, then I picked the roses one at a time and glued into place; I once again used Elmer's glue. 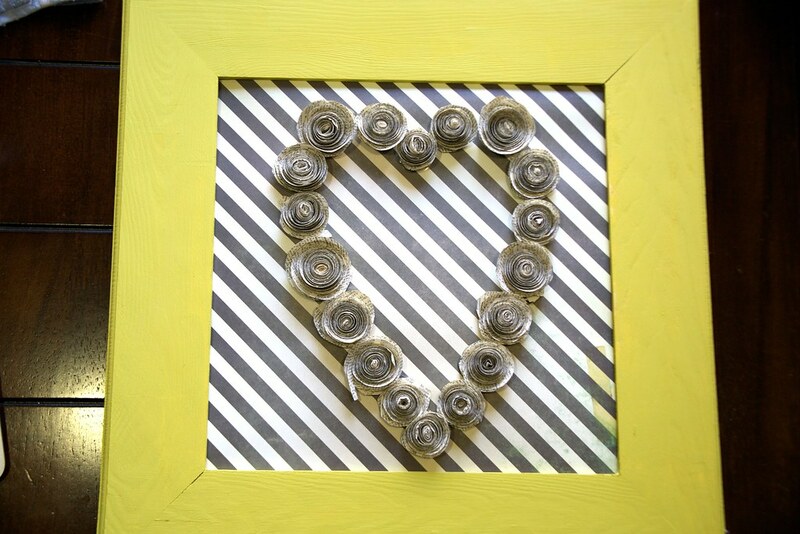 After the heart was glued into place, I took the whole paper out of the frame and painted the frame the Annie Sloan English Yellow, though any kind of paint could have worked on this frame, I wanted it to match the furniture I was redoing). Resulting in a piece I love. It came out great. I don't know if I have the patience to try and cut and glue all of the flowers. Oh how did you do a whole wreath? I don’t think I could have done many more than I needed to. Amazing!! 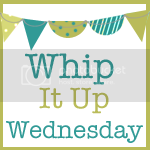 I have a project for the weekend now...once I write a paper...! I love your contrasting colors on this. Such a lovely piece of art. And thanks for the tutorial. 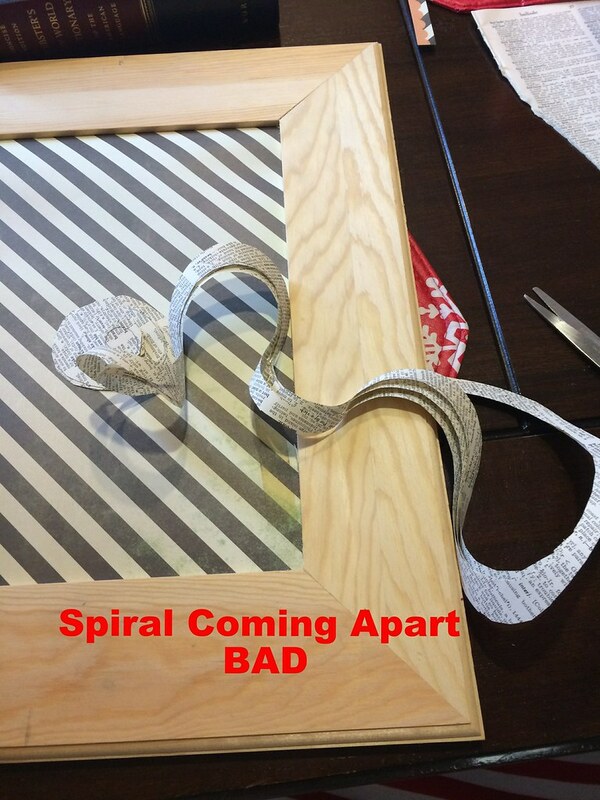 I would have wound from the center out, so if I ever do this, it will save me a lot of frustration.